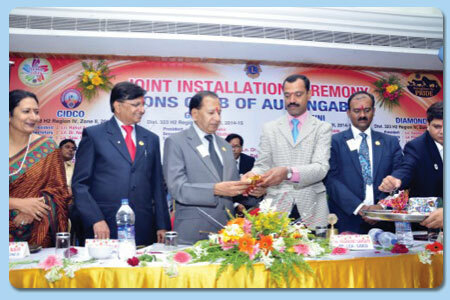 Our Club - Lions Club of Aurangabad Cidco was installed in 1992 by Chikalthana Club and First President was Ln. Luvkumar Agrawal. At present we have 3 Charter Members Ln. Ramnarayan Mantri, Ln. N. G. Karkhane and Ln. Suhas Kulkarni these Lions are dedicatedly serving for the society and club. Our Motto - We Serve. Fellowship with Service is our Punchline of our Club. Presently 32 Lion Members is the Club.